The headline of your blog or article is like a greased slide. If it’s catchy and clickable, only then your readers will dive into your content. In this video, I walk you thru one of my favorite tools called CoSchdeule Headline Analyzer. If you’re looking for the right emotional words for headlines or maybe even a book title analyzer, you can use this. The tool analyses your headlines under 4 parameters. When you have the right balance of words, that’s what psychologically triggers a person to click on a particular title. The common words that are used and uncommon words that are used, the emotional words that are used, and the power words that are used. Here are words which you can use in your blog headline. Structuring the perfect headline requires time. In fact, you need to spend as much time on your headline as your blog post. 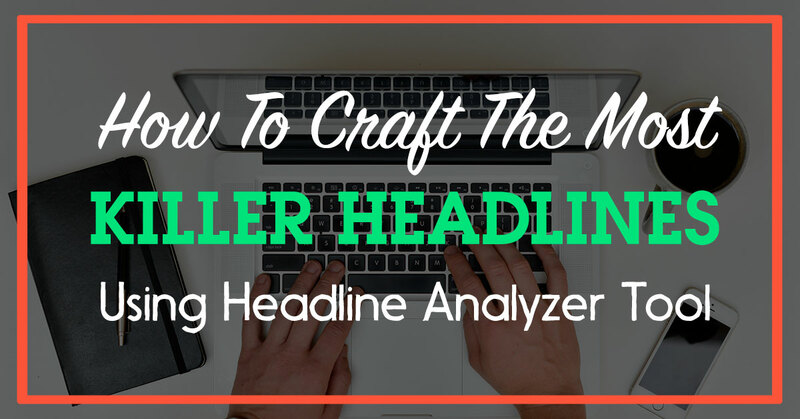 By using a headline analyzer tool like CoSchedule, it makes your life easier. The algorithms used in this tool is quite awesome! Over To You! What Tools Do You Use? Nice Articles. Keep it up!! This an awesome blog.Very well explained with all details.Enjoyed and learned as well.Thanks for this article . Thanks Shakti!! Glad you found this useful.. Share this with others who can benefit.